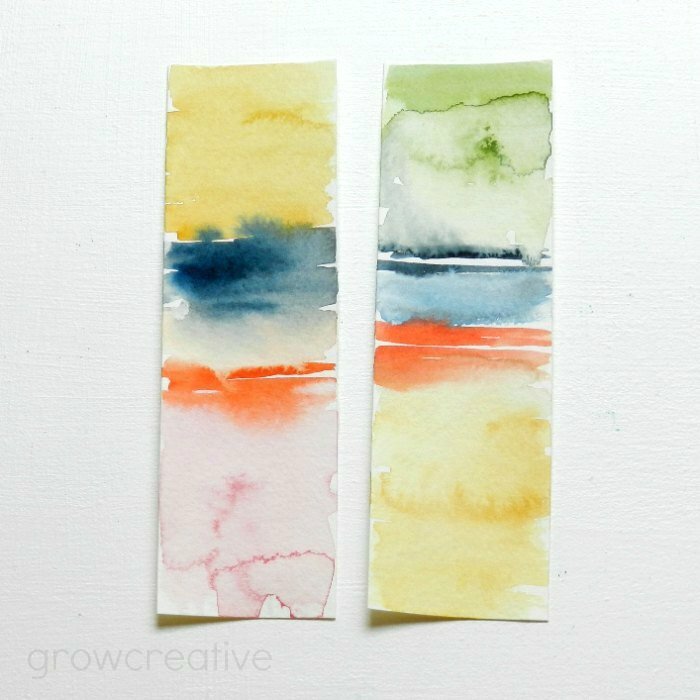 Some new bookmarks, inspired by a color block painting I discovered on Etsy. That painting was done in acrylic and I thought it would be a challenge to try to re-create the same effect with watercolors ... I was right! Very challenging indeed! Not the same, but still fun, don't you think? These are really pretty! Would make lovely small gifts! Thank you Tiffany! I think I might save these for next Christmas.